Pardon the pictures. These were taken on my iPhone, after my camera died and before my glorious Nikon emerged from its packaging. But this salad was just delightful, so I had to share. And it's so simple! It works great with strawberries, but today I'm making it with peaches. 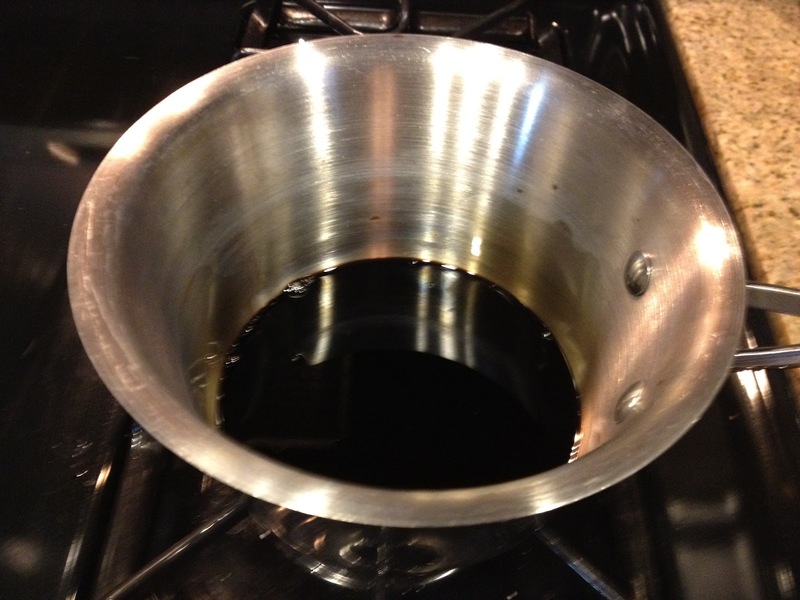 Bring your balsamic to a boil over medium to medium-high heat (I used a little over 1/4 a cup). Boil until it reduces by about half and starts to thicken. Slice your fruit and tear your mozzarella into pieces. I opted not to make my own mozzarella this time around, but I wish I had. Nothing compares to homemade mozzarella. 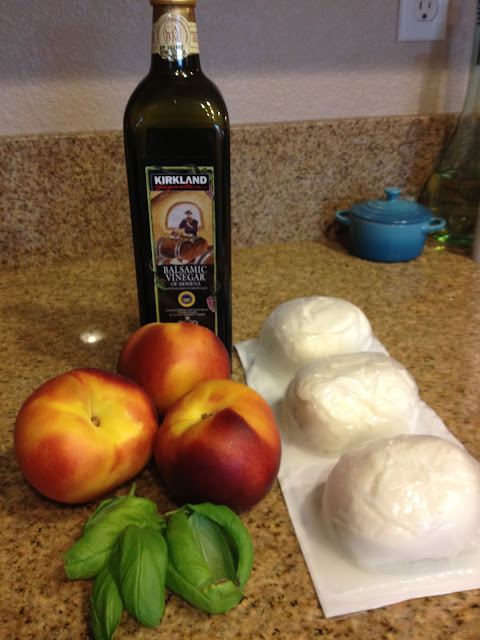 You can find out how I make mozzarella by clicking here. Chiffonade your basil. Now it's time to start layering your fruit salad! I put the peaches down first, then a healthy helping of mozzarella (we love cheese), a drizzle of the balsamic reduction, and a sprinkle of basil. Voila! It was a delightful summer fruit salad! 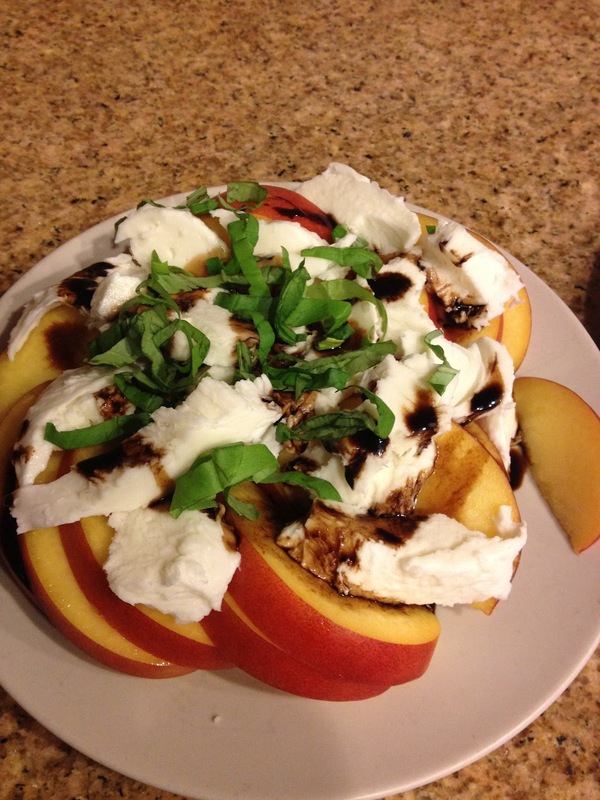 And it's a great way to enjoy a caprese salad for those of us who, try as we might, just can't stomach raw tomatoes. I know, I know...it's my one flaw. ;) I really want to like raw tomatoes and hopefully someday I will!